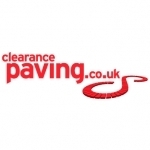 Description: Clearance Paving supply a range of discounted paving products that are sourced direct from leading manufacturers and merchants in the UK. The range of paving products available to buy includes concrete paving slabs, natural stone paving and block paving for driveways as well as patio paving kits. Meta Keywords: buy includes concrete paving slabs, natural stone paving and block paving for driveways as well as patio paving kits. Meta Description: buy includes concrete paving slabs, natural stone paving and block paving for driveways as well as patio paving kits.